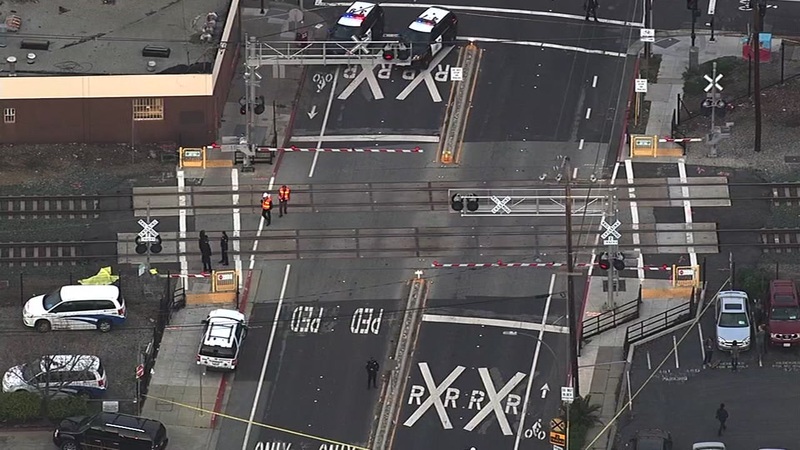 REDWOOD CITY, Calif. -- Trains are stopped in both directions this evening in Redwood City after a person was fatally struck, according to a Caltrain spokeswoman. Agency officials said train No. 366 struck a trespasser just after 5 p.m. near Brewster Avenue. Caltrain spokeswoman Tasha Bartholomew said emergency personnel were on scene, and no injuries were reported to passengers onboard the train. #SB264 will go to SAnCarlos & turn making all stops northbound to SF.#NB371 will go to RWC & turn making all stops southbound to SJ. 366 holding at Brewster Ave in RWC. -9 mins late.